What is Organic Growth? How Can Your Business Benefit From It? 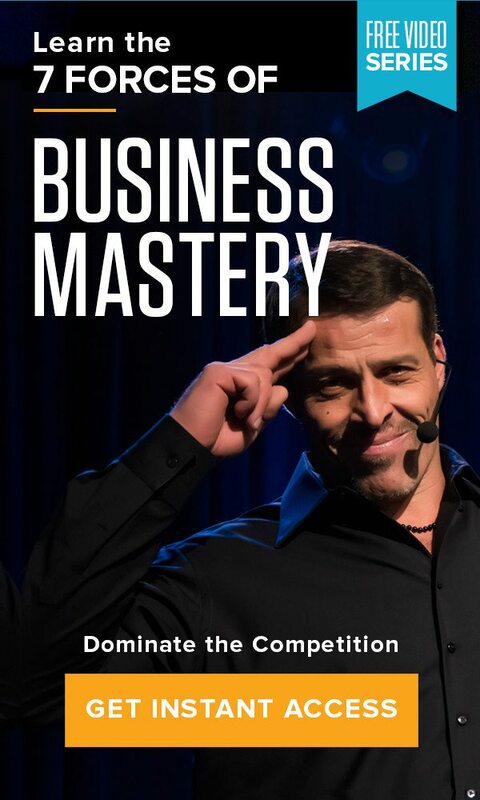 Home » The Tony Robbins Blog » Career & Business » What is organic growth? You’ve started your own business – now how will you make money? There are many ways to expedite the growth of your company. You can pay for outside agencies to market your product or service, or set up cross-promotional plans with other businesses. But there are also ways to kick-start organic growth at your company. Organic growth is the rate a company can grow by increasing their sales internally. This strategy maximizes growth from within, targeting the company’s in-house processes as a means to drive growth and revenue. There are a few ways to achieve organic growth in business, like training your sales team, implementing new customer service techniques or offering a new and improved service or product. Here’s what you should know if you’re trying to bolster your growth as a business organically. When you hear the word “grow” in business, you might also be thinking about the word “sell.” Your first instinct could be to bring in tons of new customers or create an entirely new product, but that’s not a sustainable way to grow. Instead, think about the customers you already have connections with. Could you be selling them on additional services? Would offering a package deal on your existing services make this more possible? When you do bring on new clients, don’t think of it as a huge process. You don’t need to bring on 60% more clients – you probably need to bring on 15% more clients who are purchasing a larger amount of goods. The key to growing is in knowing your clients’ needs. First, ask yourself, “What business am I really in?” For instance, think of Blockbuster. The now defunct video rental company thought they were in the business of providing movies, but really, they should have viewed themselves as providers of entertainment. When Netflix opened, Blockbuster was unable to anticipate the changing needs of their customers. Although Blockbuster had developed a huge following, they didn’t continue to think of the organic growth business advantages that would best serve their clientele. The lesson? Provide value to your main demographic. Netflix was able to completely wipe out Blockbuster because they saw the value in customers being able to receive movies at home. They then went on to refine their offerings, changing from a mail-in service to streaming, and continue to anticipate the growing needs of customers. Now with their own production team, Netflix creates innovative movies and shows that touch on current hot topics. Ask yourself, how does your company add value to the lives of its customers? What can you do to make the lives of your target audience simpler? How can you take your product or service from the level it’s at to the next iteration? Pursuing organic growth in business is all about looking inside your company. Ask yourself these questions: How am I finding and treating my customers? What are we offering, and how does it cater to the needs of our target audience?